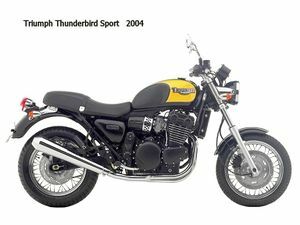 The Triumph Thunderbird is a motorcycle produced by Triumph from 1997 to 2003. 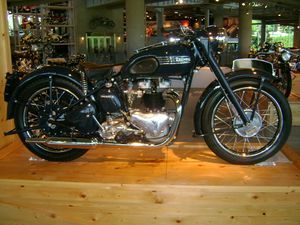 The Triumph twins enjoyed immense popularity in the U.S. their largest market, but customers wanted "more cubes". 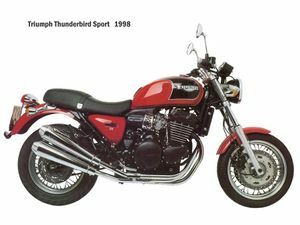 Triumph's answer was the 650 Thunderbird, a 40 cubic inch motorcycle. 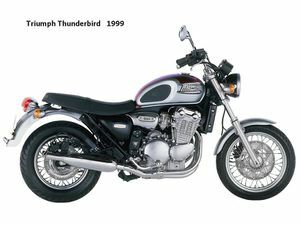 Similar in design to the 500's, the Thunderbird had more low and midrange power and was rugged enough to be "hot rodded" yet still reliable. This bike was immortalized when Marlon Brando, star of the movie "The Wild One" rode a T'Bird. This page was last edited on 25 August 2010, at 20:05.